Russ joined SERVPRO in 2008 as a Project Manager. After two years at Lake Superior State University, he spent a majority of his time in the construction field, making him a valuable asset to SERVPRO. Russ has several certifications through the IICRC including AMRT, ADS, CDS, FSRT, OCT, WRT, and Bio. Russ and his wife of 10 years reside in the White Lake area with their two children. He enjoys spending time with family and visiting the Upper Peninsula. Anthony joined the Reconstruction team at SERVPRO in 2014. He has his Water Damage Restoration certification through the IICRC. Anthony is a graduate of Central Michigan University with a Bachelors of Science in Education. He resides in the Howell area with his wife and child, and enjoys spending time with family and golfing. Pauline joined SERVPRO as an Administrative Assistant in 2014. She has her B.A. in English with a minor in French and Communications, and additionally, has the WRT certification. Pauline resides in the Livonia area with her husband of 25 years and four daughters. She enjoys spending time with her family and friends. Mary Kay joined the office of SERVPRO in 2015 as an Office Manager. She has a B.S. in Accounting from Eastern Michigan University and brings a lot of experience to SERVPRO. Mary Kay resides in the White Lake area and enjoys going up north with family and playing in euchre tournaments. Wendy joined SERVPRO in 2015 as a Sales and Marketing Representative. She has a B.S. in Communications and Marketing from Eastern Michigan University, and brings 35 years of valuable experience in Sales and Marketing to SERVPRO. Wendy resides in the Highland area with her husband and daughter. She enjoys golf, boating and spending time in Northern Michigan. 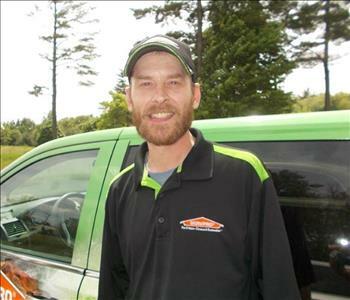 Chad joined the SERVPRO Restoration crew in 2015. He has his WRT certification through the IICRC and serves as a Crew Chief. Chad is working towards a B.S. in computer animation and in addition to working at SERVPRO, is an artist animation computer technician. He resides in the Milford area. 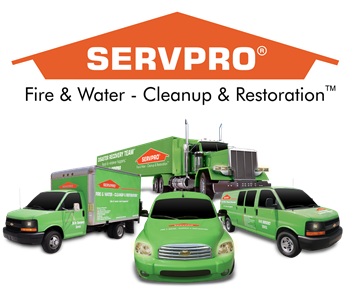 Curt brings over 15 years of experience in the water removal industry to SERVPRO. He has been with the company since 2009 and has served as a Crew Chief for 6 years.